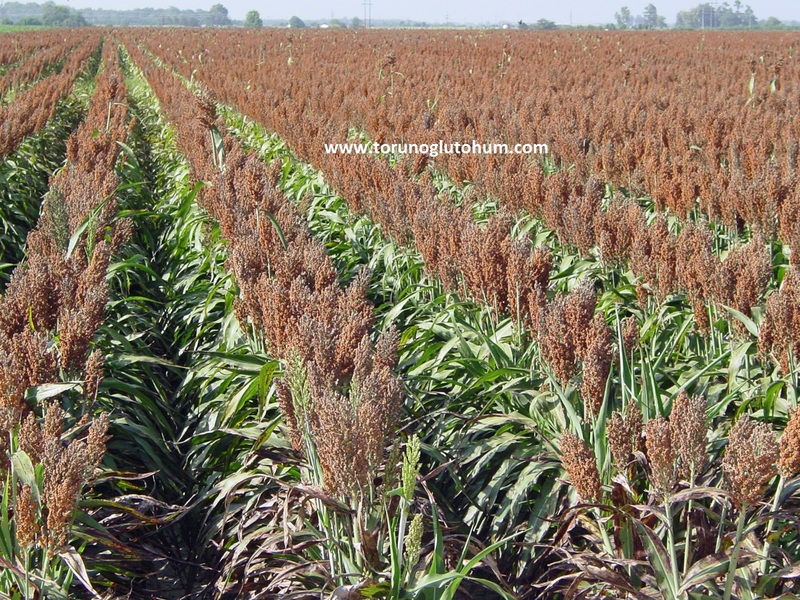 Grain sorghum is cultivated as cereal and is evaluated as slaughtering as a feed plant. Grain's question is consumed as human food and animal feed. In the world Asia, Africa and the American continent is a very common agriculture. Grain is very rare in our country of questioning production. The question of growing grain is the fifth in the world. Grain sorghum is a bitterness resistant to drought. It is easy to grow in semi-arid regions. Grain questionnaire is made in October like june july month. Decera seeds are grown between 400 gr and 1 kg. Seed depth is 2-2.5 cm. Grain query plant can be grown up to 90-160 cm height. In our country, the imported questionnaire used as an animal feed is imported from abroad. In Turkey, the question of raising a questionnaire should be disseminated. It is of great importance for our country to avoid imports by passing domestic production. You can get detailed information from our firm about the prices of grain questionnaires, types of questionnaires and the questionnaire about questionnaires. Grain sorghum, which is one of the main food sources of tropical and subtropical regions, takes the fifth order after wheat, rice, corn and arpa in the cultivated area order in the world. Especially in many parts of Africa and Asia, it is used in human nutrition. Sorghum is an important source of grain and green fodder in animal feeding. Root structure, sorghum fringe root (2 times the corn plant has the root). The first roots are formed by germination, they are not fringed, permanent roots come from the first node, and these form the root system of the plant. The trunk has come to the fore of a variety of nodes and knuckles. The plant size is between 90-160 cm. Brotherhood is the root throat. The leaves are long thin like the corn plant. The flowers, the seed-binding organ, are the bunch of flowers. The size of the clusters can be 4-25 cm, width 2-20 cm. As the seed starts to germinate, the sorghum plant begins to develop the root and leaf system. If the developmental stages are divided into 10 parts, these phases and distinctive characters are on average the same as in the table. These days are the average number of days. Soil fertility, disease and harmfulness, low humidity, plant density and weed condition can be reduced and multiplied depending on the condition of the plant in any stage of development. • 0 Growth Stage: At this stage, good quality seed utilization, planting depth and plant populations affect the first development. • 1 Growth Stage: At this stage, weed control is very important since the sorghum plant is very small and its development is very slow. • 2 Growth Stage: The growth plot is still underground. Redevelopment is faster than the 1st growth phase, even if the leaf is damaged. At this stage, weed, food and water deficiency greatly reduce the yield. • 3 Growth Stage: Necessary nutrients and irrigation are required for maximum growth. • 4 Growth Stage: At this stage, nutrients and moisture required for growth and yield must be present in the soil. • 5 Growth Stage: In this phase, water deficiency or possible drug damage will prevent the cluster from dusting in the flag leaf. • 6 Growth Stage: 50% flowering stage. Grain formation has begun. This plant should be planted as absolutely watered. If thirst occurs, it will cause grain binding or poor grain formation. • 7 Growth Stage: Milk death is the stage, dry matter accumulation occurs at this stage. Final irrigation should be done at the end of this phase. • 8 Growth Stage: Dough morphology is the stage, if there is not enough water or frost in this phase, the yield decreases due to the formation of light grains. • 9 Growth Stage: The physiological pathology is the stage, the plant can be harvested at this stage. It is too humid. Silage sorghum gives maximum yield at this stage. It can be planted everywhere if the summer temperature is 20 ° C and the number of days without frost damage is over 125 in a year. My sorghum grows in the hot period between spring and autumn. As the warm and dry fall will reduce the moisture of the grain, the grain will be brightly colored. The precipitation after the formation of the grain causes color change. Sorghum plant is one of the rare plants that maintain its vitality in bad conditions and complete its regrowth when conditions improve. 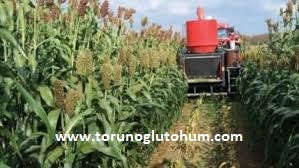 Sorghum is suitable for both irrigated cultivated and rainy fields to be irrigated, and more water than corn. Grain sorghum grows better in clay-tinned medium textured soil, sandy lightly textured soil and clayey heavy textured soil, although it develops successfully on all soils. If clay and tin percentage increase in soil, brotherhood tends to decrease in questioning. The Sorghum plant is also resistant to medium pH pH gradients. It grows in places with the most suitable pH = 6-6.5. A well-worked tight seed bed is important. Thus, as well as full exit and weed control, moisture will be close to the soil surface and will be useful during germination and first development. Seed quality is one of the important points in sorghum cultivation. Good quality seed germination quality is high. Using certified seeds with high germination power reduces the losses that can occur in plant development and yield. Hybrid seeds should be replaced every year and medicated with fungicide medicines. Medicines prevent harmful organisms in the soil from damaging the seeds and seedlings. A good and vigorous output provides high yield in harvest. Particularly cold and water retention capacity causes plants such as Fusarium, Phytium, Diplodia, Penicillium, Rhizoctomy and Rhizoctonia (rotting seeds and seedlings) in the plants that are sown on the high-soils, . The seeding time determines a large amount of soil heat. In temperate regions, seeds can be planted from the beginning of June to the middle of July, after wheat, vet + cereal blends in areas suitable for the second crop, such as the Mediterranean and Aegean coastal zones, immediately after the last frosts. The main crop should not be planted without soil heat at 4-7 ° C in sowing. Germination temperature is 10 ° C in the soil. In the temperatures below this, the seeds wait under the soil until they find this heat. In this case the seed may rot if the soil is high in nematode. Hybrid seeds are slightly more tolerant in early planting. 2. If planting is done too late in the crop plants, the clusters become mature and late. Late sowing is a fall in yield. Grain sorghum seeds are very small and should not be planted too deep. After sowing the seed should be closed and pressed. If the soil is annealed, the depth of planting should be 2-2.5 cm, if the temper is lower, it should be 4-5 cm. The output will not be a problem if it is watered. Planting with pneumatic seeders gives very good results and facilitates harvesting. Seed quality must be high in October, tillage and sowing machines must be appropriate and well-tuned. Even when these conditions are fulfilled, output is 75%. Dilution should be performed, which is an uneconomical process for using too much seed. The amount of seed must be very well adjusted. The amount of seeds should be increased for overproduction if watered. This distance can be narrowed. The number of plants in the unit field should be adjusted accordingly in irrigation and composting. According to equipment condition it should be 7-8 cm above the order of 50-60-70-75 cm between rows. Ideal distance between the rows of 70-75 cm in the direction of suitability to the irrigation. In this case 400-1000 grams of seeds can be deposited. Where the humidity is low, frequency is low and frequent where it is high. By inserting small perforated discs in sorghum cultivation with cotton and corn seedlings and adjusting the transmission system, seed drop can be provided in desired amount. After the seed has fallen into the seed bed in the required amount, germination water of about 40% of the seed weight is needed. For this reason, repression of the seed after sowing is a factor promoting germination. Grain sorghum is a product that removes much of the nutrients from the soil. Especially wheat and vetch + hububuntan second crops planting nitrogen in the plant can find very little. With good fertilization and irrigation, the yield of the plant can be increased. The ratio of the nutrients the Sorghum plant uses in various stages of growth. It is the most important nutrient in sorghum production. According to soil type and moisture, fertilizer acts directly. Higher doses of nitrogen in arid soils are a declining factor of efficiency. Nitrogen demand in sandy and organic matter weak soil is higher in clayey and heavy soils. Nitrogen deficiency in Sorghum causes yellowing on the leaves. This is first seen in old leaves. Too much nitrogen accelerates vegetative growth and ripening is delayed and yield is reduced. Nitrogen can be applied in various stages. It is usually advisable to give half a day, 2 times, before and during sowing. 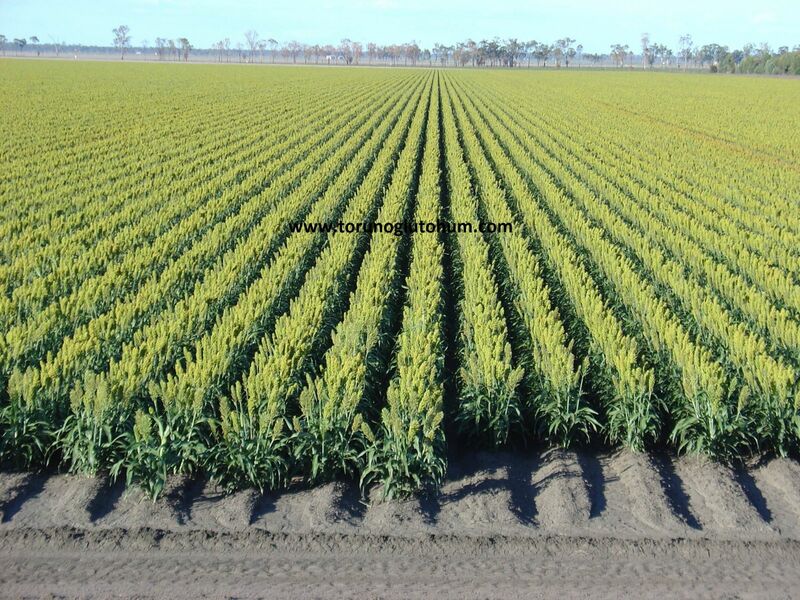 It is recommended that ½ of 12 kg / da nitrogen be given as Ammonium Sulphate before sowing and ½ as Ammonium Nitrate when planting 30-40 cm after sowing. Phosphorus is usually present in the soil in sufficient quantity. Phosphorus application in continuous vegetal production soil depends on soil analysis. Phosphorus deficiency weakens plant development, leaves can not get normal color. Initially it turns darker than normal, then reddish green, then purple or brown. Phosphorus deficiency also reduces grain yield and quality. Phosphorus is plowed before planting at 6 kg / da pure substance and mixed with soil. Potassium is also a nutrient element that is not deficient in our soil such as phosphorus. It should be given if the soil is missing after analysis. Their development is very weak and thin because they will compete with each other in terms of nutrients in sorghum germinating very often in sowing. So when sorghum is 8-10 cm paint, dilution process should be done with 7-8 cm interval on the row. The good setting of the machines during sowing does not require dilution as it brings this extra cost to sowing in large areas. Sorghum plant grows in the growing stage when it is germinated in weeds and grows in the growing period. Due to its weak output, it can not compete with weeds in the 4-5 week period of its development. In this 4-5 week phase, if there is no struggle against weed, 8-24% efficiency drop is observed. Good soil tillage and field preparation before planting reduce weed competition. During the period of development in question, 1-3 diameters are made, the first anchor plant should be made 15-20 cm. Removal should be made as deep as possible. In the second anchor, the plant grows, it is made in the way that the light throat will fill, in the second, according to the weed density, in the second compost. It can also be made in a chemical struggle with weeds. Chemical struggle can be done before sowing, after sowing, before sowing and after sowing. Used before and after exit. It controls small, narrow-leaved and broad-leafed annual weeds. Applications on sandy beaches and poor organic soils can damage the plant, so the sorghum plant should be 3-4 leaves (10 cm) and should have just emerged in weeds. The dosage is 200 grams. It is used after the exit and does not control narrow leaved grasses. The Sorghuma loss is less than Atrazine. It is used to control wide leafy weeds of 200-300 grams before exiting. Sandy can make Atrazine's damage in light and organic matter poor soil. 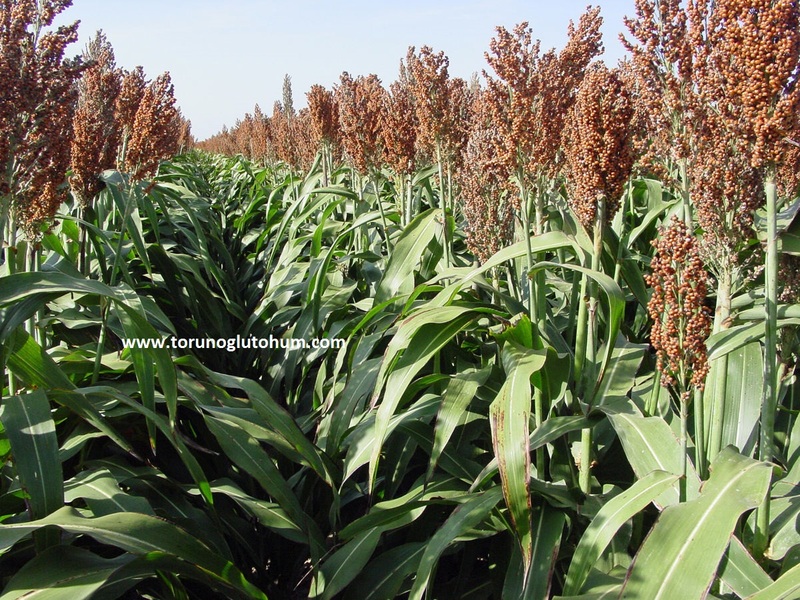 4.3.Irrigation: Sorghum is less affected by limited irrigation conditions and arid regions than other cottage plants. Sorghum plant is one of the rare plants that stops its development under abnormal conditions and resumes its development when conditions return to normal. Despite the fact that sufficient product is obtained with 1-2 proper irrigation in the main product conditions, the number of irrigation in 2nd product cultivation varies between 1-4 according to climatic conditions and soil structure. Irrigation time should be determined very well. The irrigation efficiency at the beginning of flowering has a large effect on the positive direction. Sorghum roots descend to a depth of 2 m. If the sorghum plant begins to form cluster from its developmental stages and becomes dehydrated at the stage where it begins to flow, 2. After application of fertilizer, water should be absolutely given in order to get the garbage on the plant side. Tannins should be avoided in the case of dough deposition, irrespective of the amount of water in the soil at this stage, which will delay drying of the tannins at harvest time. The Sorghum harvest is best done with harvesters. In small planting areas, where the harvester does not enter or is not economical, when the sorbets are mature, they can be cut and harvested from the lower part of the bunch with a pruning shear or binding knife, dried and blended with the pathos. Since moisture is slightly higher at harvest (20%), moisture before storage must be reduced by 13-15%. Dehumidification at high humidity level will cause deterioration and product loss. In addition, the storage temperature should be 16 ° C.
* Sorghum is an important grain grain that can be economically grown in semi-arid regions of the world depending on the temperature and the amount of water, it performs better than other grains. * It is a perfect source of carbohydrate and protein and at the same time contains vitamins and minerals. * The feeder is cheaper than maize and has 95% of the feed value. Can participate in cattle, sheep and winged feed rations. * It can join ration in feed factories, it can add meat, dairy cattle enterprises, small cattle breeding enterprises and poultry establishments that produce their own feeds to feed rations by breaking the rules. * Because it contains xanthophyll substance, red henna sorghum is used to increase egg yolk in egg hen. * Silage can be done. * Grain sorghum and soybean can be planted together to silage.